THE CONCORDIA PARISH RECREATION DISTRICT # 1 BOARD MEETING SCHEDULED FOR TODAY THURSDAY, APRIL 18, 2019, HAS BEEN CANCELLED DUE TO THE WEATHER. THE NEXT MEETING SCHEDULED IS FOR THURSDAY, APRIL 25TH. Applicants must demonstrate the ability to perform the duties required for each position. from 1:00 p.m. to 4:30 p.m. 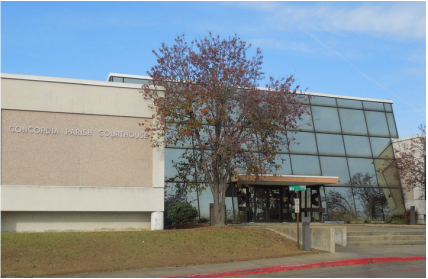 The Concordia Parish Police Jury is the governing body of Concordia Parish outside of the incorporated towns of Vidalia, Ferriday, Ridgecrest and Clayton. The police jury's primary responsibilities are the maintenance and operation of roads and bridges, drainage facilities, sewerage and water distribution systems, recreational facilities, public buildings and financial support of the parish's criminal justice system. The police jury adopts ordinances and resolutions to promote the general welfare of the citizens of Concordia Parish. METRO SERVICE GROUP is proud to be servicing Concordia Parish residents for solid waste pickup! If you have questions about your garbage pickup, feel free to contact them at 844-520-8331. Properties that failed to sell at a tax sale are adjudicated to the governing authority. Adjudicated property auctions are conducted online and allow investors to acquire full ownership with clear title and title insurance. Auctions start at $0 for the property, investors just pay the closing costs. Visit CivicSource.com to view a list of available adjudicated properties and to initiate an auction.